How Dare We! Write Review by Tom Holmes, check it out! 1. What is the primary/most important message in Love Imagined and how do you think readers will relate to it? The message I was trying to express is how history/historical events play into one’s identity. I always wanted to write a book that paralleled historical events across color lines in the USA. However, it was too overwhelming for me to find the emotional energy to do so, but I was able to, at least, tell my own story: the journey of a Chinese Black woman who grew up in South Minneapolis passing for white. My publisher went out of his way to help me get permission to include quotes that were historically relevant. 2. Also, is it for a certain, limited audience that the book will have good/meaningful appeal? Actually, no. Scandinavian friends from high school have found connections to the story beyond location. One friend actually said, knowing the main message was one of a mixed race identity, there was much she could relate to. Also, at a recent reading, a younger, mixed woman said my story was her story. I was concerned that my age, 66 years old, would have younger people poopooing it; but, I’m discovering they can relate. At the same reading a married couple, two young men, explained that one of them was searching to know more about his mixed identity. I am also hoping my story will have an impact in women’s studies and ethnic studies classrooms. Please contact Modern History Press, victor@lhpress.com, if you have a serious interest in reviewing LOVE IMAGINED. Reviews in multicultural journals, mixed race journals, feminist journals/Amazon, Goodreads, etc. are more than welcome. 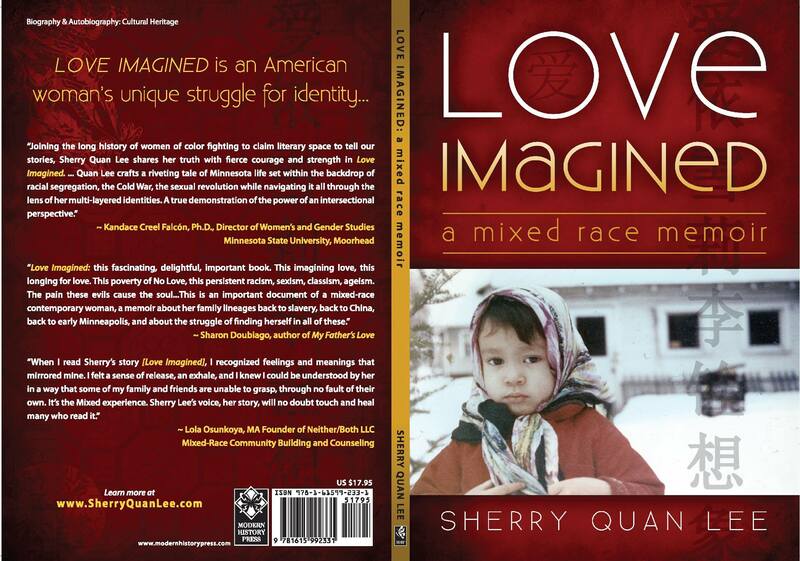 Synopsis: Love Imagined is an American woman’s unique struggle for identity. My work, for better or worse, does focus on the “I”-the me me me me me- because I write memoir, but I hadn’t recognized that I actually departed from first person in at least one poem! To me, that means I, unknowingly perhaps, reached at least a small amount of incite into my life. Thank you Michael Tsang for your incite into my work.